LIVINGSTON, NJ — For 101 years, the family-owned and operated Crystal Plaza has been a community staple, and it continues to evolve at the hands of fourth-generation managing partners Hunter and Max Janoff, their father, Allan Janoff, owner and president of the Crystal Plaza Group, and their aunt, Ronni Janoff Weinstein, vice president. After celebrating its 100th anniversary in 2017, the Crystal Plaza Group is hard at work in 2018 to bring new and exciting features to the wedding and event venue as well as the Crystal Plaza catering business, while carrying on the Janoff legacy of fine quality and attention to detail. 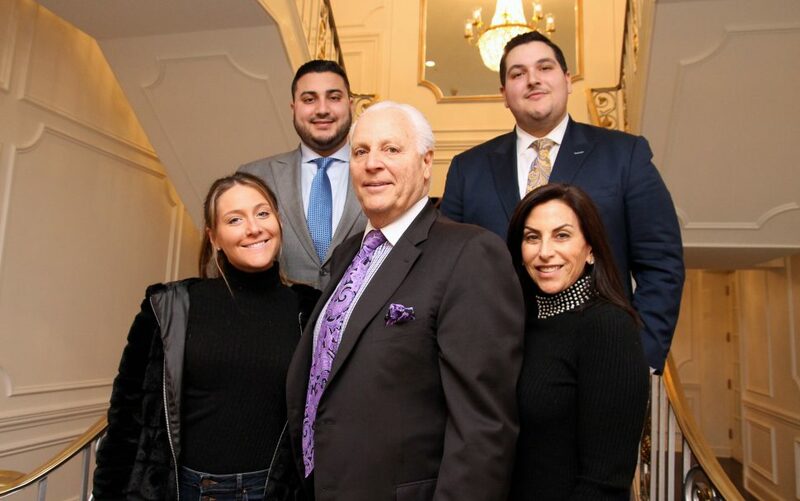 During an exclusive event held last week, featuring a tour of the newly renovated venue, the Janoff family and members of the dedicated staff debuted their brand new menu with a cocktail reception followed by a three-course gourmet lunch and dessert. Guests were also treated to the Crystal Plaza’s signature lamb chops and a champagne toast. As Janoff brothers Hunter and Max led the tour, they highlighted the recent changes made to the Grand Ballroom, which is adorned with dozens of crystal chandeliers, and the venue’s multipurpose rooms like the cocktail and garden patio spaces, which were both renovated less than a month ago. According to Hunter, the new paint colors, furniture and light fixtures were chosen with the intention of creating a modern elegance in the rooms while maintaining the classic ambiance that the venue is known for. Hunter, Max and their younger sister, Nicole, spoke about their commitment to creating trends as well as keeping up with what’s current in the event world. 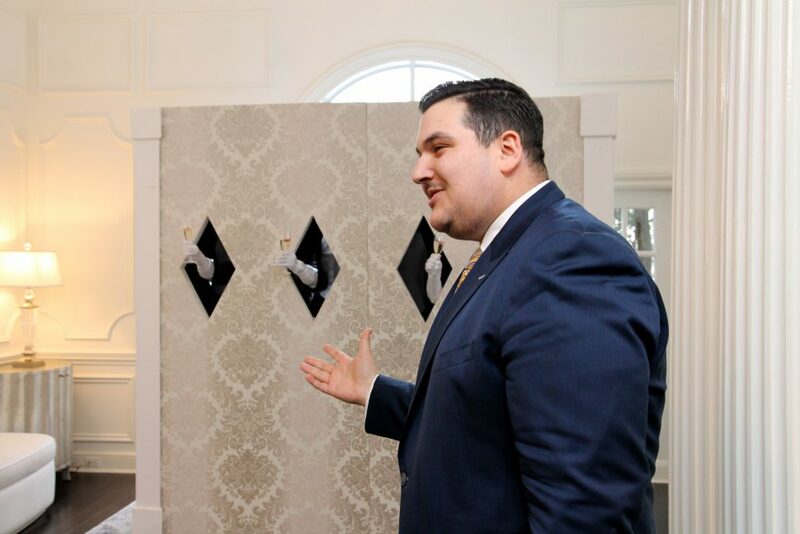 Their mother, Debbie Janoff, said that her three children are the future of the Crystal Plaza Group because they have a better vision of what today’s brides and grooms are looking for and always know how to respond to the needs of their clients. 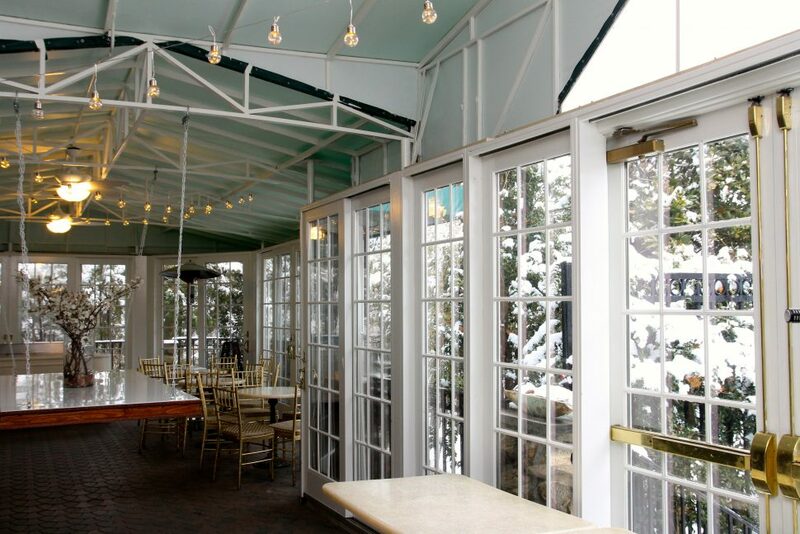 According to Max, the nearly 80 percent of the events hosted at the venue today are weddings, but the venue is also popular locally for its bar and bat mitzvahs and corporate events. Although most of the clientele is local, Max said they are beginning to see clientele from areas like Alpine, Bernardsville, Staten Island and Manhattan. The members of the Janoff family also said they have a great relationship with the Livingston community, which they said has always been supportive. In fact, the Janoffs host an annual block party that their surrounding neighbors look forward to each year. This year, Debbie said the neighbors of Crystal Plaza were “so excited and receptive about what has been done so far” and enthusiastic about future plans for the company. During the Crystal Plaza’s centennial, the venue was named “Best Meeting/Event Venue (Not a Hotel) of 2017” by New Jersey Meeting + Events magazine, which also named the Crystal Plaza Group as “Best Caterer.” Locally, the Crystal Plaza Group was named Business of the Year and Allan was named Civic Leader of the Year by the Livingston Area Chamber of Commerce during its annual awards ceremony held at the Crystal Plaza in May 2017. The venue received various other accolades in 2017 as well, including being named as “Favorite Venue Just Outside of the City” by Sophisticated Weddings, the “Prettiest Ballroom We’ve Ever Seen” by BRIDES Magazine and “Hospitality Company of the Year” by Luxury Travel Guide. 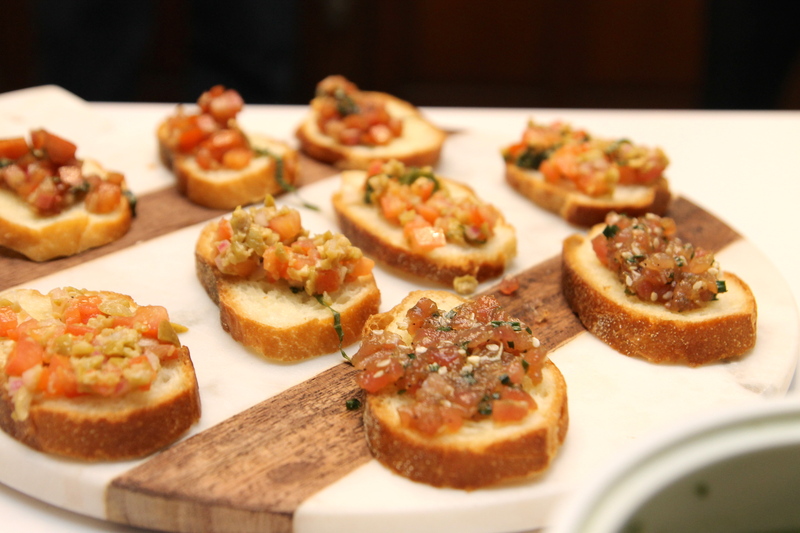 Each event held at the Crystal Plaza is adapted to meet the tastes and preferences of every client. 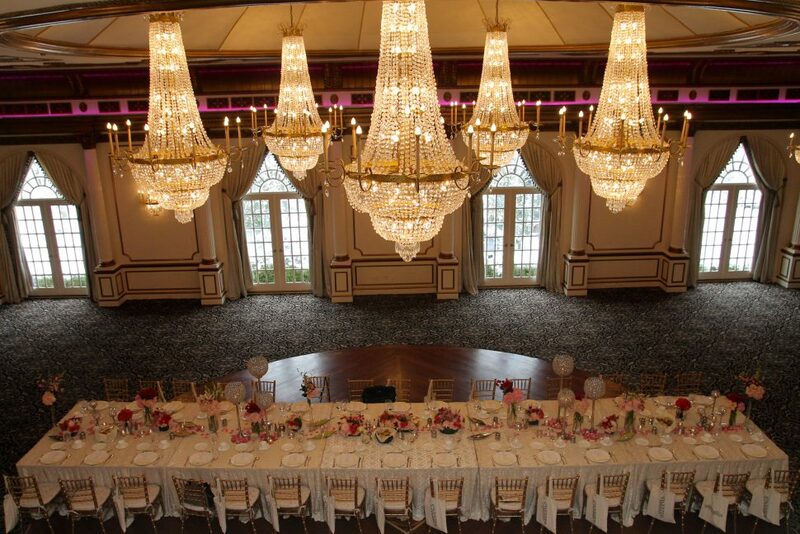 Over the years, the Crystal Plaza has hosted thousands of wedding and Bar/Bat Mitzvah receptions, meetings and parties for some of the area’s most prominent residents, businesses and non-profit organizations, and political gatherings attended by several New Jersey governors, United States senators, and other important figures. The turn-of-the-century mansion known today as the Crystal Plaza is located at 305 W. Northfield Road in Livingston. All images and article are by DANIELLE SANTOLA for TAP Into Livingston. Link to the article is here.